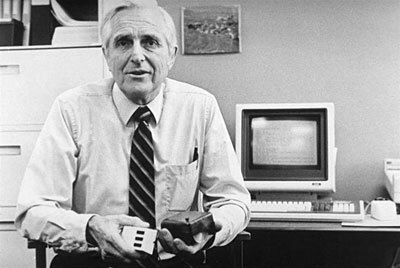 The first computer mouse was conceived of in the early 1960’s by Douglas Engelbart (see biography of Douglas Engelbart), then a Director of Augmentation Research Center (ARC) at Stanford Research Institute (SRI), in Menlo Park, California. The mouse was just a tiny piece of a much larger project, started in 1962, aimed at augmenting human intellect (see a 1968 paper for the project). At the time of the invention of the mouse, Engelbart had already been exploring possible ways for people to increase their capability to solve complex problems for almost a dozen years. Engelbart and William (Bill) English (a colleague of Engelbart and the maker of the mouse) envisioned problem-solvers using computer-aided working stations to augment their efforts. They required the ability to interact with information displays using some sort of device to move a cursor around the screen. There were several devices then in use, or being considered for use: the light pen, joysticks, etc. The authors however were looking for the best and the most efficient device. They approached NASA in 1966, and said, let’s test them, and determine the answer once-and-for-all. With NASA funding, the team developed a set of simple tasks, and timed a group of volunteers in doing those tasks with the various devices. For example, the computer would generate an object in a random position on the screen, and a cursor somewhere else. They timed how long it took the users to move the cursor to the object. It quickly became clear that the mouse out-performed all the others. Devices like the light pen simply took too much time, by repeatedly requiring the user to pick up the pointer, and reach all the way to the screen, which was very tiresome. 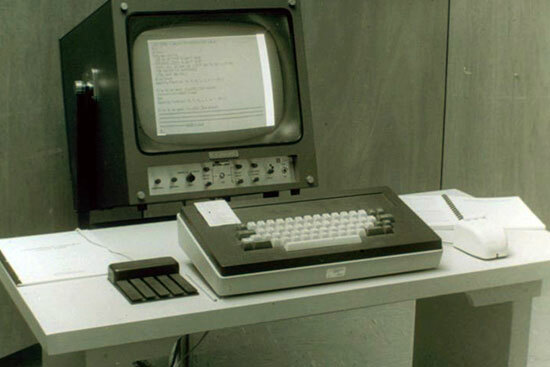 In 1964, the first prototype of computer mouse was made (see the nearby photo) to use with a graphical user interface (GUI), 'windows'. The original mouse had the cord in front, but they quickly moved it to the back end to get it out of the way. It was a simple mechanical device with two perpendicularly mounted discs on the bottom. You could tilt or rock the mouse to draw perfectly straight horizontal or vertical lines. Engelbart applied for a patent in 1967 and received it as an assignor of SRI for the wooden shell with two metal wheels (see U.S. Patent 3541541) in 1970, describing it in the patent application as an "X-Y position indicator for a display system." 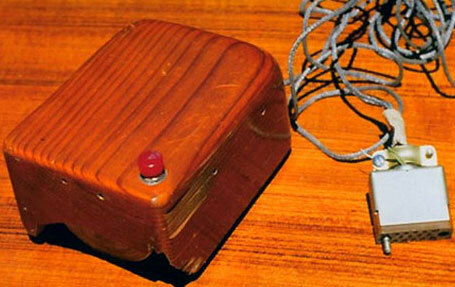 "It was nicknamed the mouse because the tail came out the end," Engelbart revealed about his invention. His version of windows and GUI was not considered patentable (no software patents were issued at that time), but Engelbart has over 45 other patents to his name. In early 1967 Engelbart and Bill English published a paper, discussing this test also referred to a “knee-control” device that appeared promising. That device was based on Engelbart's observation that the human foot was a pretty sensitive controller of the gas pedal in cars. They discovered that the knee offered even better control at slight movements in all directions. In tests, it outperformed the mouse by a small margin. A sample device was cooked up by Engelbart's lab for moving the cursor on the display screen (see the nearby photo). After Engelbart got the idea, he hired Bill English (see the lower photo), who had been working in another lab at SRI, to make the hardware design. Later on, the group was joined by Jeff Rulifson, who made a big difference in the quality of the software involved. 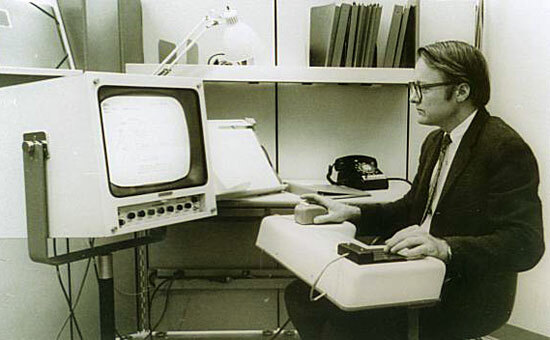 The first production workstation and mouse were made in 1967 (see the lower photo). The mouse had a plastic casing on a metal base plate. 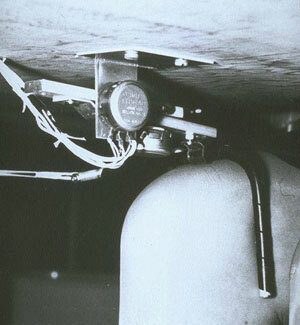 Although the casing was originally designed for the cord to be attached to the wrist side of the device, it is seen here with the cord coming out from the other end. 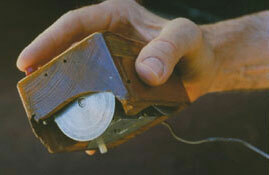 The mouse, as well as other advanced technologies were demonstrated by Douglas Engelbart in the famous demonstration of experimental computer technologies on December 9, 1968. In the so called The Mother of All Demos Engelbart featured the introduction of the computer mouse, video conferencing, teleconferencing, email, hypertext, word processing, hypermedia, object addressing and dynamic file linking, bootstrapping, and a collaborative real-time editor. It is interesting, that the inventor of one of the most popular computer interface devices ever in the world didn't received any royalties for his mouse invention. As he received the patent as an assignor of SRI, SRI licensed it to Apple for something like $40000, which was ridiculous. Engelbart received nothing! 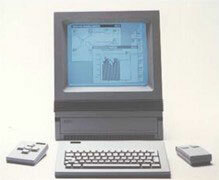 The first cordless mouse was shipped in September, 1984, with the Metaphor computer (see the nearby image) of David Liddle and Donald Massaro, former Xerox PARC engineers. The computer also had a cordless keyboard and function keypad. The mouse was built for Metaphor by Logitech and used infra-red (IR) signals to transmit mouse data to the computer. The problem with such devices that used IR technology was that, in order to work, they needed a clear line of sight between the mouse and the computer's receiver, a potential problem on a cluttered desk. Hence, cordless mice did not get traction until this problem was solved. This was accomplished by replacing IR with radio frequency (RF) communications.